IObit has been offering a comprehensive PC care utility (Advanced SystemCare), that takes a one-click approach to help protect, repair, and optimize your computer, since 2006. IObit continues this strong tradition with the release of Advanced SystemCare Free Version 4.0, which is now available for download. This latest edition continues to provide a super convenient solution for PC maintenance and protection – including the ability to complete all maintenance in a minute or two, with just one click. There are a host of improvements in this new edition but, for now, I’ll focus on just two, since I haven’t yet had a chance to comprehensively test the application. 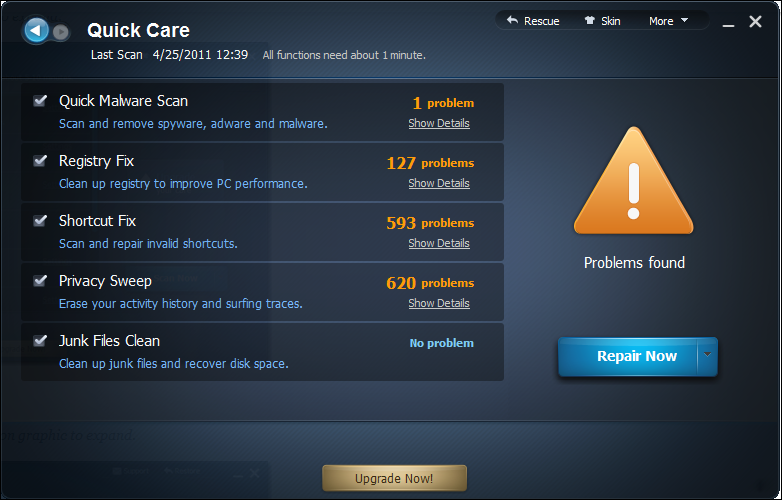 One click to solve as many as 10 common PC problems – With one click, it scans and repairs ten PC problems and protects your PC from hidden security threats. The newly added “Disk Scan” and “Vulnerability Fix”, helps scan and fix disk errors and Windows vulnerabilities. 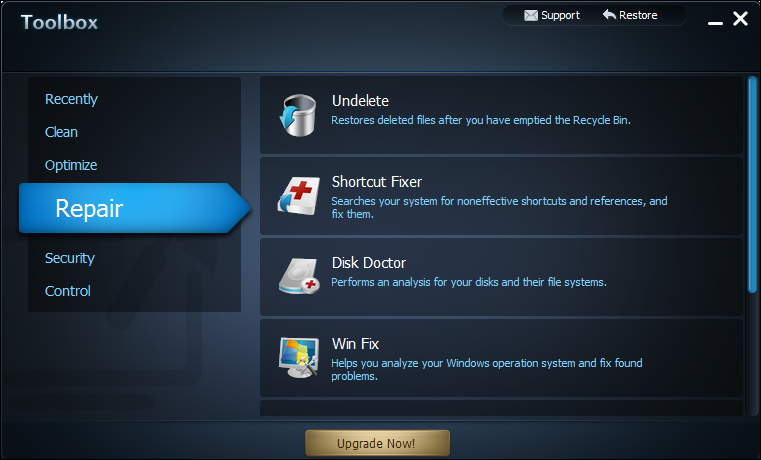 More than 20 dedicated smart tools for everyday PC maintenance – Replacing the original “Utilities” module in version 3, Advanced SystemCare 4 integrates IObit’s latest Toolbox, which has more than 20 dedicated smart tools for everyday PC maintenance, or advanced needs – including tools for system cleaning, optimizing and repairing, tools for security enhancement, and tools for full control over the system. Installation and configuration are straightforward and one screen “follow the bouncing ball” simple. I should point out that a toolbar is no longer offered as part of the install. 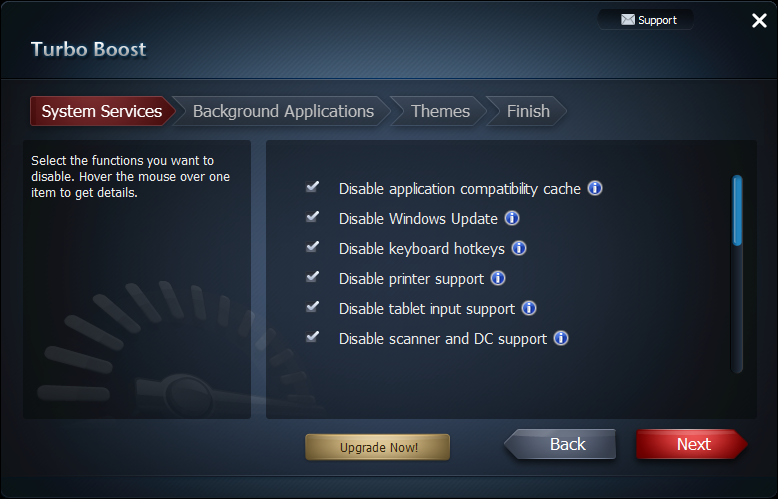 A new and improved user interface, focuses on four major PC areas – as shown in the following graphic. First pass test scan results, using the Quick Care Module. Click on graphic to expand. First pass test scan results, using the Deep Care Module which includes all of the tools in the Quick Care Module plus Passive Defense, Disk Scan, Vulnerability Fix, and Disk Defrag. Click on graphic to expand. Newly added Toolbox Module. Click on graphic to expand. Turbo Boost Module. I’ve illustrated two functions here. Click on graphics to expand. Extremely Easy to Use – Completes its work with just one click! Scans, repairs and secures your PC in one minute. Next-generation Free Windows XP/Vista/7 Registry Cleaner and System Optimization – Safely cleans registry junks, compacts registry bloat and defragments the registry for blistering-fast performance. Quick and Extensive System Clean-up – Boosts your system’s performance with Advanced SystemCare Free, the powerful free XP registry cleaner by cleaning missing files, destroying unwanted files, deleting obsolete files, and removing junk files. Supports deep-cleansing of more than 50 types of junk files. Speeds Up PC Performance and Internet Access – Tunes up Windows by releasing the built-in power of your system. Dramatically improves both system and Internet performance by up to 400%. Enjoy That New PC Feeling Again – Whatever version of Windows you’re running, enjoy that “good as new” speed usually only experienced on a brand new PC. Powerful Hard Drive Defragmentation – Fast, powerfully and incredibly effective Disk Defrag function to defragment hard drives – up to 10 times faster than other defragmentation tools. Defends PC Security with Extra Protection – Secure your PC – quickly and easily. Scans and removes spyware and adware using up-to-date definition files. Prevents spyware, hackers and hijackers from installing malicious items on your computer. 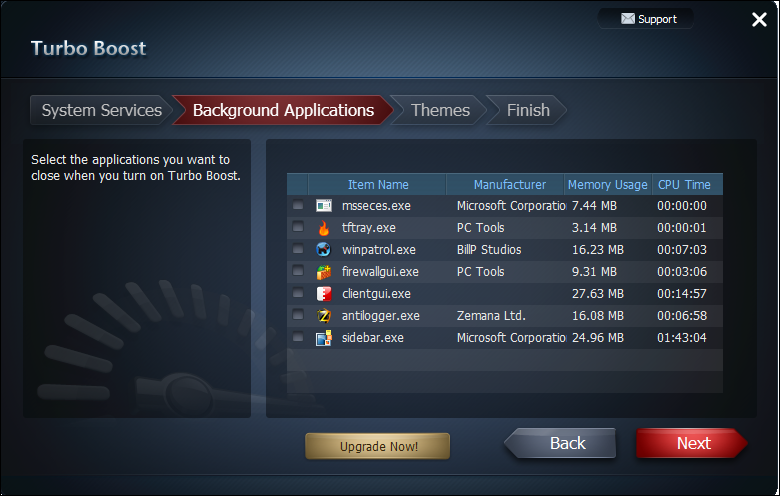 Erases and updates your PC’s activity history with this powerful free XP registry cleaner. Security and Privacy assured! Fixes Multiple System Errors – More than a mere free XP registry cleaner – keeps your PC stably and running at peak efficiency. Safe and Free – 100% free with no spyware or adware! 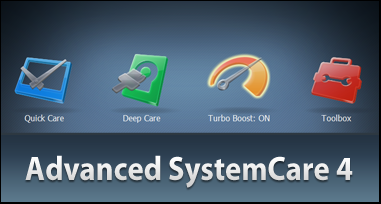 Advanced SystemCare Free is a safe and trusted PC protection and maintenance solution from a leading software vendor. System requirements: Windows 7, Vista, XP, 2000 (32bit and 64bit). As well as keeping your machine physically clean, it is always good practice to keep your computer’s operating system and subsystems clean, so that you can get maximum performance from your machine. This free application can certainly help you do just that. It’s no accident that Advanced SystemCare (all versions cumulatively), is listed number one in CNET’s diagnostic software downloads. So, no longer do we have to deal with a Toolbar but instead, we have an upgrade choice. Still, at $12.99, not a bad deal. Thanks for the quick report. My time is almost up with the trial of SM 10 so I have to make a decision one way or another, but the one gripe I have with SM 10 is that it demands a reboot after it performs its cleanup, as my boot-ups are exceeding long…………………………………………………………………. PS Thanks for that link yesterday I’m working on it. System Mechanic 10 is an entirely different animal than Advanced SystemCare Free. Can’t really compare them – it’s like apples and bananas. I just installed and went through each of the components. AWESOME! I believe this will now be my “do it all” maintenance utility. Good to hear. It is pretty awesome, and at a hard to beat price for the Pro version. Thanks for posting the review!